We’ve seen many tough cases before here at eoutlet, but Gumdrop have launched a brand new contender into the iPhone accessory market. 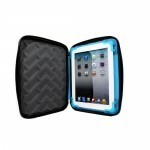 Having already launched their Drop Tech Series Cases For iPad 2, Gumdrop have now released the Drop Tech Series Ultimate Protection Case For iPhone 4/4S. 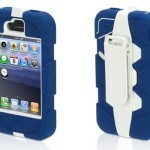 With multiple layers of extreme protection, the Gumdrop Drop Tech Series Case For iPhone 4/4S is the only way to protect your brand new iPhone 4S. Designed specifically for those people who live life to the full and want a case to match, the Gumdrop Drop Tech Series Case For iPhone 4/4S pushes the boundaries in iPhone protection. With shock absorption and drop protection, the Gumdrop Drop Tech Series Case For iPhone 4/4S is a case that will bounce back from any falls or drops. What’s great about the Gumdrop Drop Tech Series Case For iPhone 4/4S is that it gives you peace of mind, allowing you to get on with your day, without having to worry about your iPhone 4 or iPhone 4S getting damaged along the way. 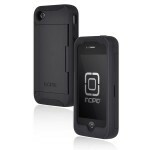 Not only does the Gumdrop Drop Tech Series Case For iPhone 4/4S protect the main body of your iPhone 4 or iPhone 4S, it also covers the screen and port covers, so no dirt or scratches will damage your precious device, making it the ideal travelling and extreme sports companion. 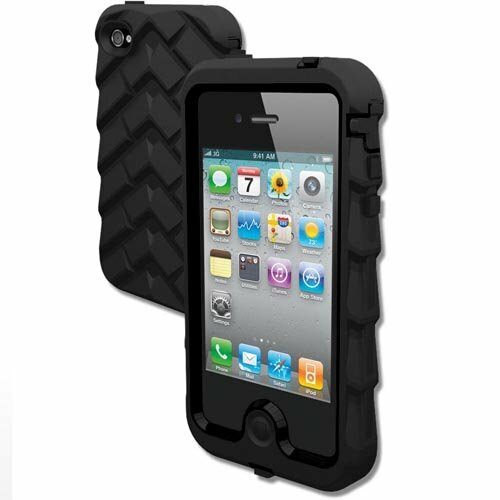 The Gumdrop Drop Tech Series Case For iPhone 4/4S also has reinforced rubber bumpers on the corners to add extra shock absorption and even greater protection. 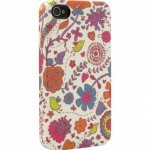 Give your iPhone 4 or your brand new iPhone 4S the greatest protection possible in the form of the Gumdrop Drop Tech Series Case For iPhone 4/4S.